Our attorneys are experienced in helping Houston motorcycle accident victims protect their financial future. We will help you get the maximum compensation you deserve! The findings of the Texas Department of Transportation illustrate the seriousness of motorcycle accidents in Houston and throughout Texas. In 2013, the majority of motorcycle accidents in Texas occurred in Houston. In 2016, 16% of all vehicular deaths in Texas involved motorcyclists. 69% of motorcycle accidents in Texas occur in urban areas, while 31% occur in rural areas. Almost half of motorcyclists killed in an accident wore helmets. Deaths from motorcycle accidents in Texas have increased every year for the past five years. If you have suffered a motorcycle accident due to a negligent driver, you can start legal action against the responsible party to recover economic losses associated with your accident, including medical bills, lost wages, motorcycle repairs and other costs. Under Texas law, drivers must carry a minimum of $ 30,000 liability insurance per person and at least $ 60,000 per accident, in addition to a liability for property damage of at least $ 25,000 per accident. However, many drivers often carry only the minimum required. In addition to receiving an agreement for economic losses, victims of motorcycle accidents may be entitled to additional compensation for pain and suffering, disfigurement or loss of ability to enjoy life. However, these non-economic damages are sometimes harder to receive in Texas. In order for you to receive punitive damages, which are intended to reprimand the defendants, it must be demonstrated that deliberate or extreme negligence was involved to be granted these benefits. Partnering with a Houston lawyer who focuses on motorcycle accident claims could be your best chance to receive compensation for punitive damages. Motorcycles are considered a high-risk transportation method, but that does not mean that your motorcycle accident is your fault. Drivers who make turns to the left in front of the approaching motorcyclists account for almost 42% of all motorcycle accidents, while dangerous or bad road conditions account for almost 25%. The risk of injury caused by a motorcycle accident can be reduced if the cyclist wears protective equipment, such as a helmet, gloves or motorcycle jacket. But these alone are not always enough to prevent serious injuries in an accident caused by a negligent driver. Motorcyclists are 35 times more likely to die in a traffic accident than drivers of passenger vehicles and 5 times more likely to be injured. Because of these factors, it is important that you receive fair compensation for your motorcycle accident. If you are ever involved in a motorcycle accident, the steps you take can significantly affect your ability to receive a fair settlement. Call the police and emergency medical services. The police can gather the details and prepare a report about the accident. Seek medical attention, even if you do not feel injured. Some injuries can manifest themselves in the hours and days following an accident. Do not admit guilt, even if you think you have it. It is up to the authorities to determine who is at fault, there may be factors that they did not know. Take pictures of the accident scene, motorcycle, other involved vehicles (including license plates), and the surrounding area if able. 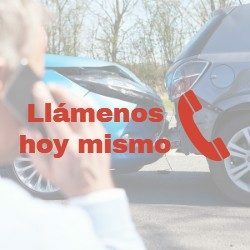 Write down all the details you can think about the accident, even if you do not think it is significant. Contact an attorney who has experience in motorcycle accidents to handle your case and help you receive fair compensation. Motorcycle accident cases are not like typical accidents involving only passenger cars. Motorcyclists are at a much greater risk of injury or death as a result of an accident. Motorcycle Accident Attorneys understand the unique laws that involve motorcycles and assemblers and will ensure that they are treated and compensated in a fair manner. We can help you move forward in claiming the agreement you deserve. While no amount of money can undo the damage caused by your accident, it can help alleviate the financial burden and be one step closer to your healing. If you have been involved in a motorcycle accident, contact us today to schedule a free consultation.